Psychological horror game Conarium has recently been announced, armed with a promising premise. Developer Zoetrope Interactive has envisioned a game inspired by H.P. Lovecraft’s At the Mountains of Madness, set (partially) within an Antarctic research facility where protagonist Frank Gilman and three other scientists reap the otherworldly consequences of their research into testing “the limits of human consciousness”, using the titular Conarium device. Frank Gilman, a member of the Anthropology Department in the Miskatonic University, dies but returns changed and plagued by visions of Lovecraftian horrors. Based on the trailer, the game transports players into an arcane-looking world at a moment’s notice, where specters reside and haunting moments stand. Already the art direction is fairly impressive. 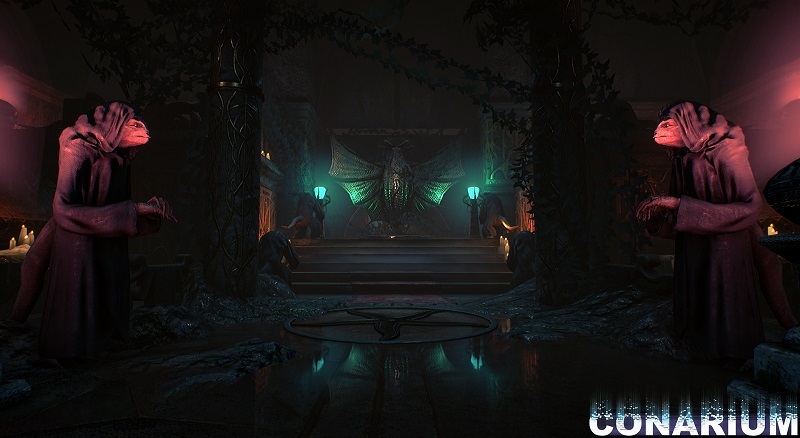 Conarium is being developed for PC, Xbox One, and PlayStation 4. It’s to release in Q1 2017.